You can get to Shiroishi-Zao station in less than 2 hours from Tokyo via the Shinkansen which will bring you there directly. The Shinkansen is really expensive if you're buying individual tickets for the trip (like $200+) so I will really advise you to get the 7-day JR pass which will cost about $400. You can use the JR pass to get to other parts of Japan and take unlimited rides on the JR line as well. From Shiroishi-Zao, we took a cab which cost about ¥4200‎ each way. We managed to find two other tourists to share the cab with so it was cheaper for all of us. You have the option to rent a car for ¥5000 too but we both didn't have our international licenses with us. Also, the bends up the mountains are pretty difficult to navigate so I think taking a cab was actually a better and safer option. 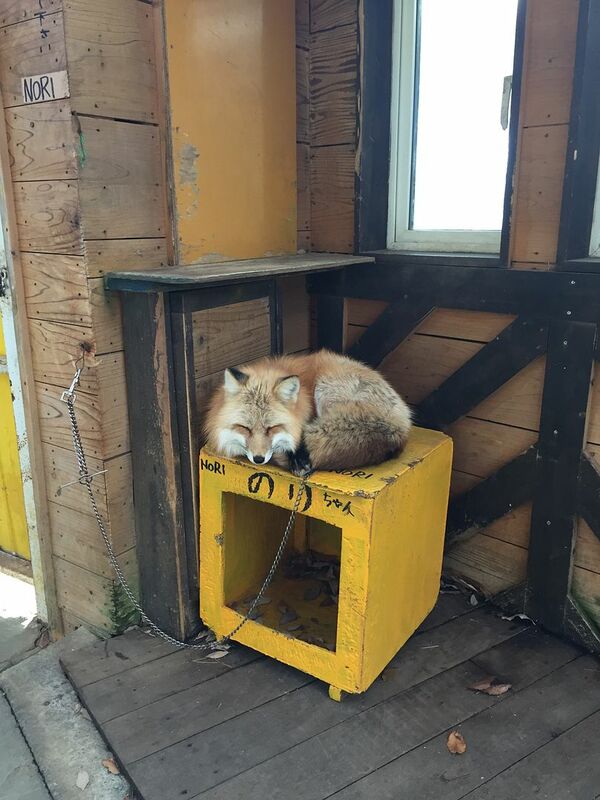 There is also a shuttle bus service operated by the Zao Fox Village but I don't think it runs everyday so you might wanna look the schedule up. 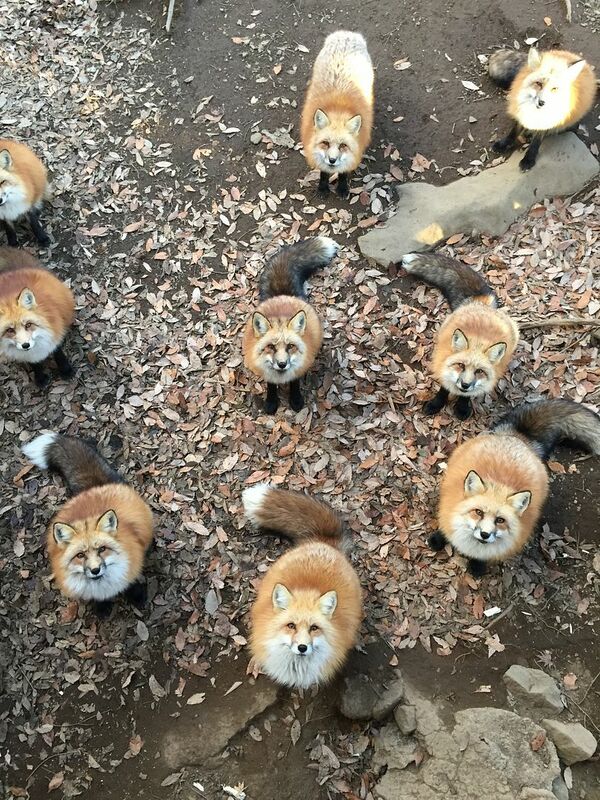 We arrived at the Miyagi Zao Fox Village around 220pm. 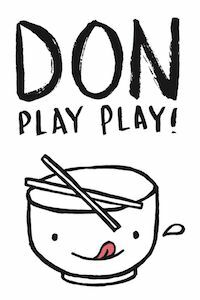 The entry fee is ¥1000 and you will be handed a piece of paper telling you the dos and don'ts. 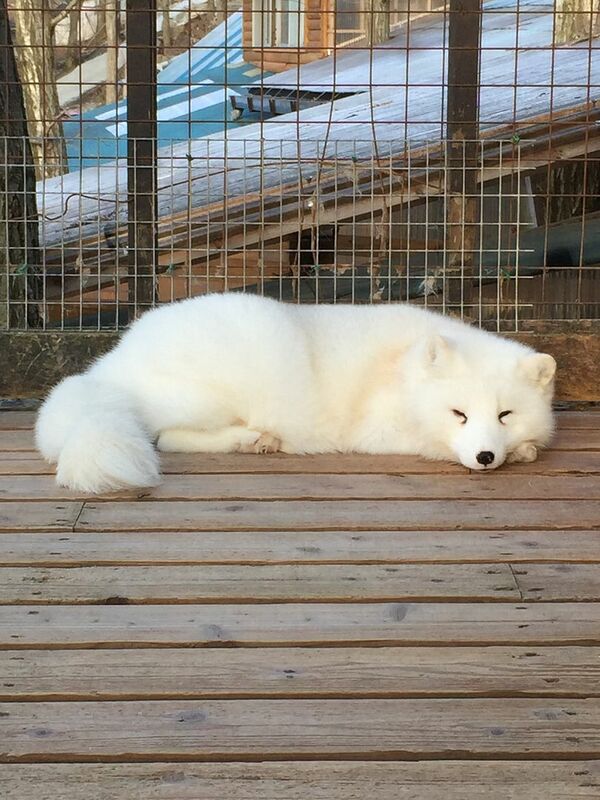 There are hugging sessions every hour where you can hug an adorable fox for just ¥400! Get your cameras ready and snap as many pictures as you can! Photos are taken with my phone because I forgot to bring my camera battery. 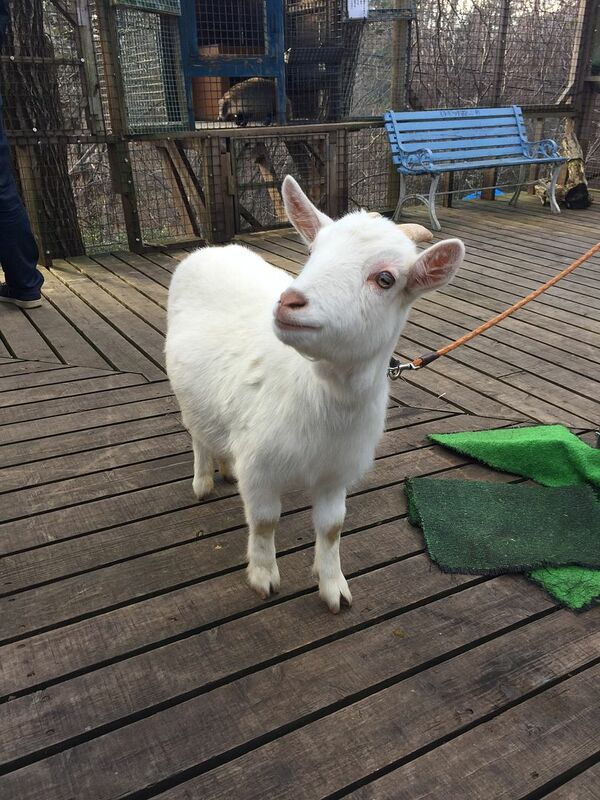 There are other animals such as goats, birds and bunnies too, if you're interested. 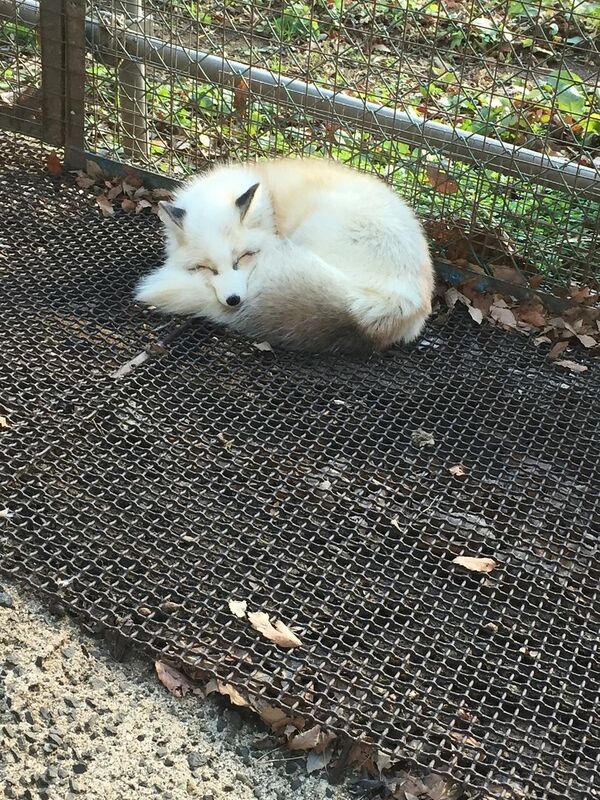 There are various species of foxes kept in different cages and they are mostly napping. The young foxes are more afraid of humans. They tend to dart around in the cages or hide in their little kennels when there are people around. The free roaming area is where we spent most of our time at. 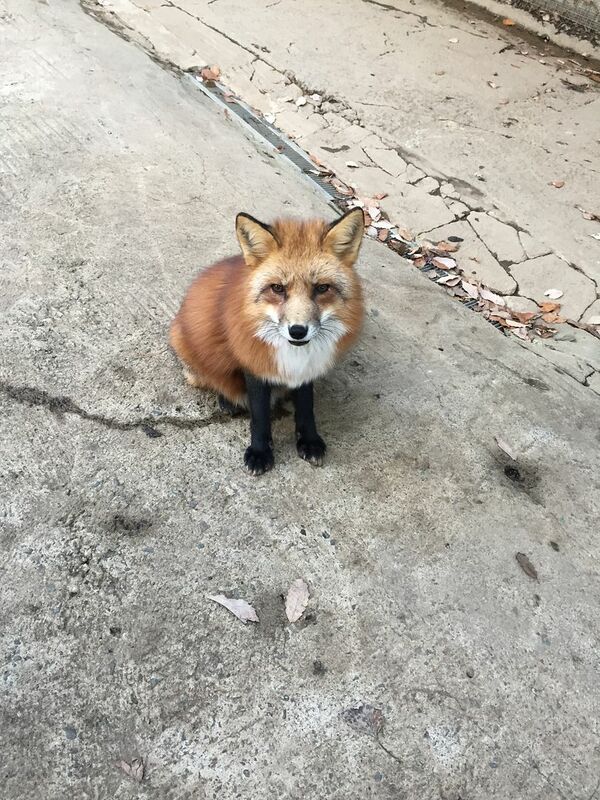 There were foxes who came up to us, and I'm sure they will go up to you too, but be careful not to touch them as you don't know when they will bite. This little fox seemed really friendly, allowing us to take a dozen selfies with him but he tried to nip my friend's hand even though she placed it on her own knee. He also tried to bite my jeans and the shoes of another tourist. There are sign boards around that warn of foxes biting your butts so do be careful, but it's actually pretty safe! You will probably witness alot of "fighting" in this place. 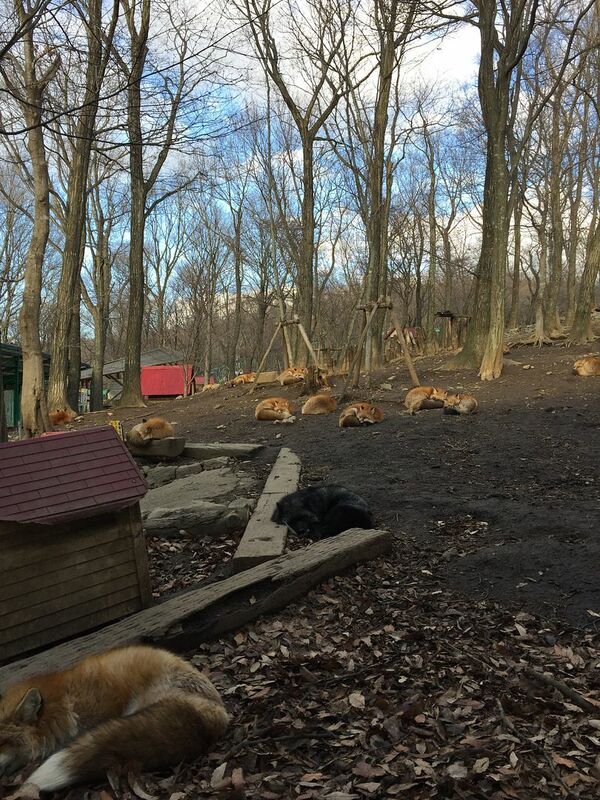 The foxes work and roam about alone most of the time. 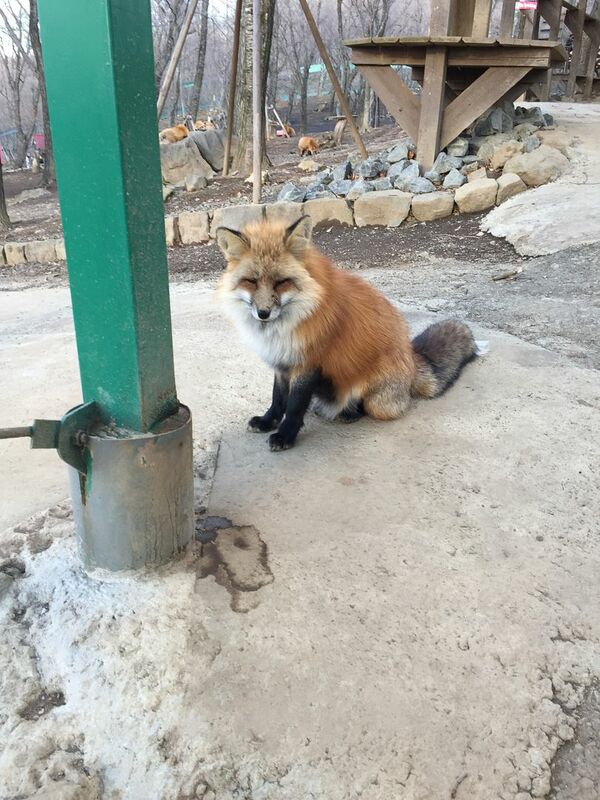 If a fox is drinking water from the water pan, no other foxes can go near. They have to queue for their turn. The one drinking water will get territorial and try to attack any intruding foxes. 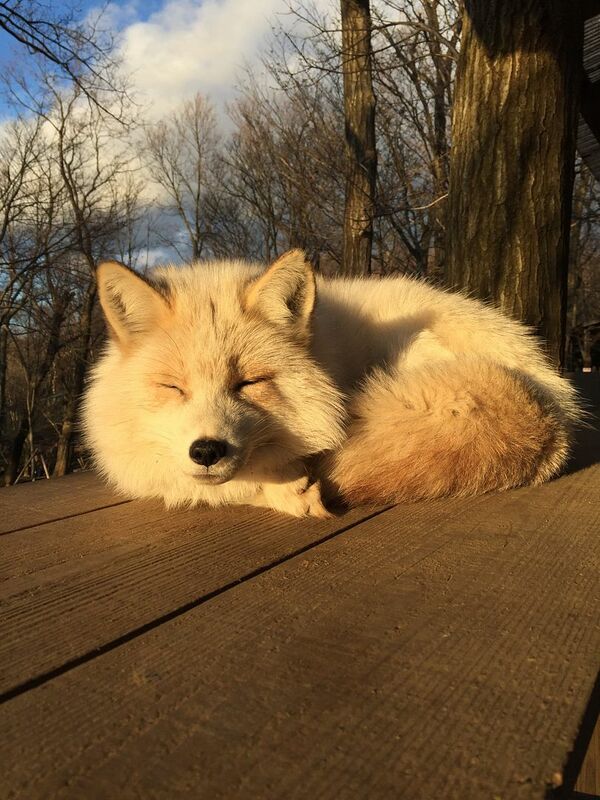 It seems to be a rule that all the foxes know and observe. 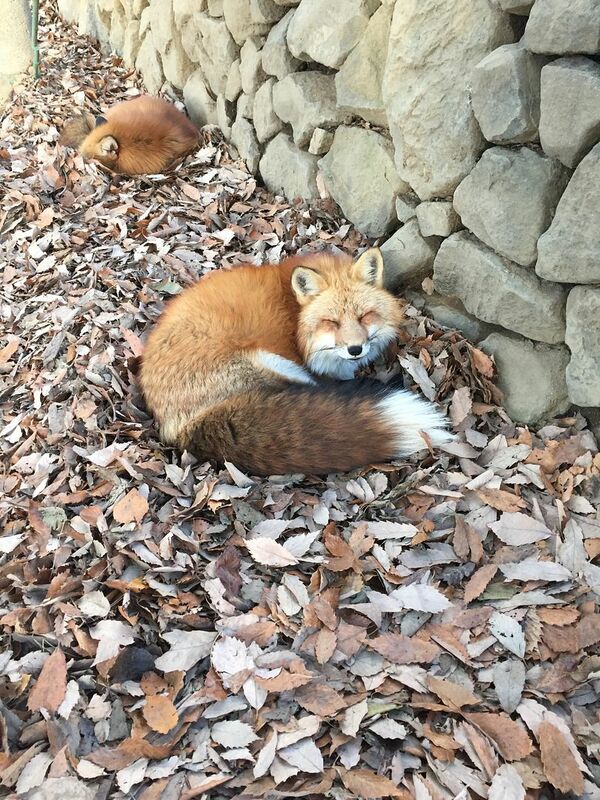 I don't know if the majority of the foxes were sleeping because it was cold and close to winter or if they are actually like that all year round. But they look super cute anyway!!! This guy almost gave up on life. We tried to take selfies with him and he kept turning away HAHA. He must be thinking "I'm so sick of these two humans. Don't they get the hint???" We saw a couple of interesting "fights" but no one was hurt. There is a hospital section though, so I guess some of them do get injured or maybe they were ill. The highlight would be the feeding hut where you can purchase a packet of treats for ¥100. 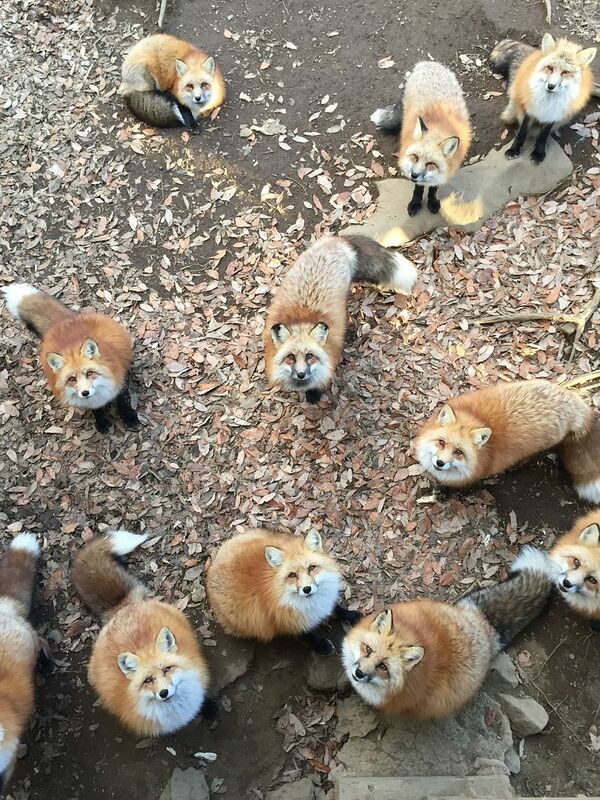 All the foxes will gather below the hut and look up at you and that's the perfect time to snap pictures. Throwing the treat might result in a few tussles but they are generally harmless. 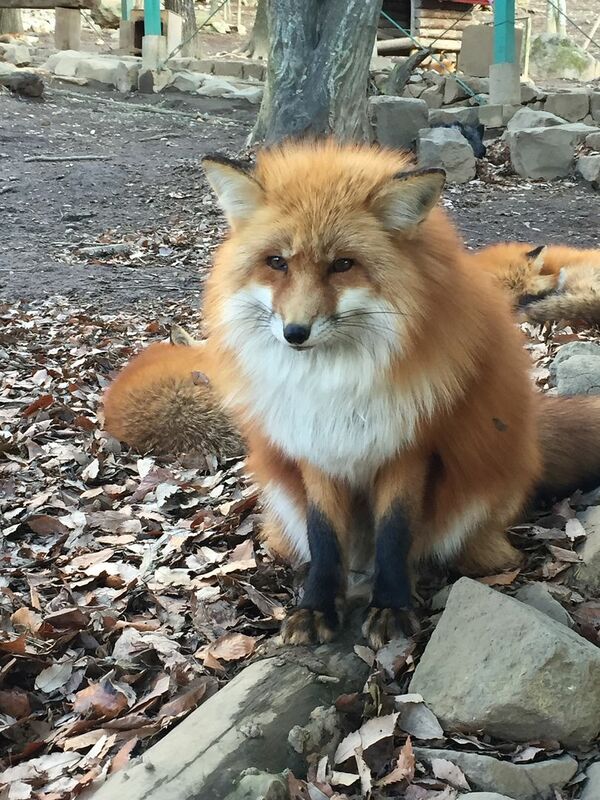 Do try to throw the treats further away as the smaller and weaker foxes usually stand and wait around those areas and I believe that they don't get as many treats. 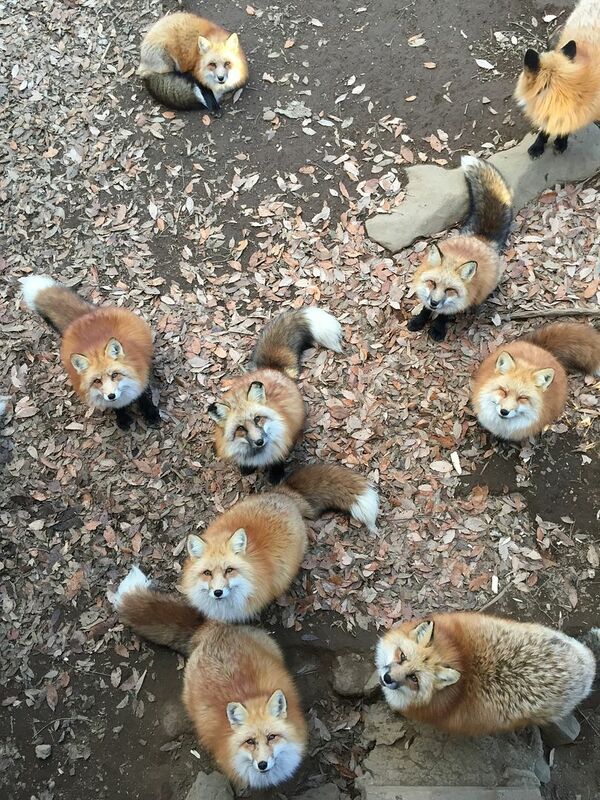 The more aggressive foxes usually stand nearer to you and they will all dash for the treat once you toss it. We left at about 4pm to catch the Shinkansen back to Tokyo and also because the day was very short and it was getting dark. I think the village closes around 5pm. You can ask the staff to call a cab for you but it might take awhile. Our driver was very nice. He knew we were catching the Shinkansen even though we didn't mention it and he sped all the way to get us back to the station in about 20 minutes. Even though it was a very time-consuming journey, it was worth every second! 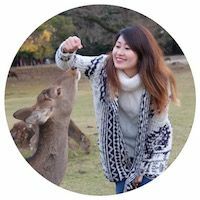 This was undoubtedly the most memorable thing I did in my 12 days in Japan! One thing off the bucket list yay!